Healthiest Fruits: Which Ones Fit Your Nutritional Needs? The most basic mission for any healthy eating plan, experts often say, is to incorporate into your diet a variety of foods taken from nature. And fruit certainly makes the cut. If you don’t have diabetes or blood sugar problems, about one-quarter of your meal can be comprised of fruits. The remarkable health benefits of raspberries and blueberries along with their incredible flavor make them a superfood you will want to consume daily. Learn why you should start eating these sweet little treats. Every day, you strategically map out your diabetes meal plan. You count your carbohydrates, limit your sweets, and choose your beverages carefully: a vegetable here, a piece of fruit there, and voila! 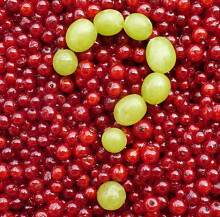 And then it hits you: Can diabetics eat fruit?